Hello there, I am back today to share more Clearly Besotted Teasers with you. Not long to wait now until the new products are released. They will be available to purchase tomorrow evening from 10pm :) Today I am sharing two new sets with you - A Little Something (and matching dies) and Life & Laughter. My first uses the new A Little Something set. It is such a sweet set! I started off by cutting a square panel using the SSS Stitched Squares dies with a piece of white cardstock. I then stamped the sentiment on to it with black ink. 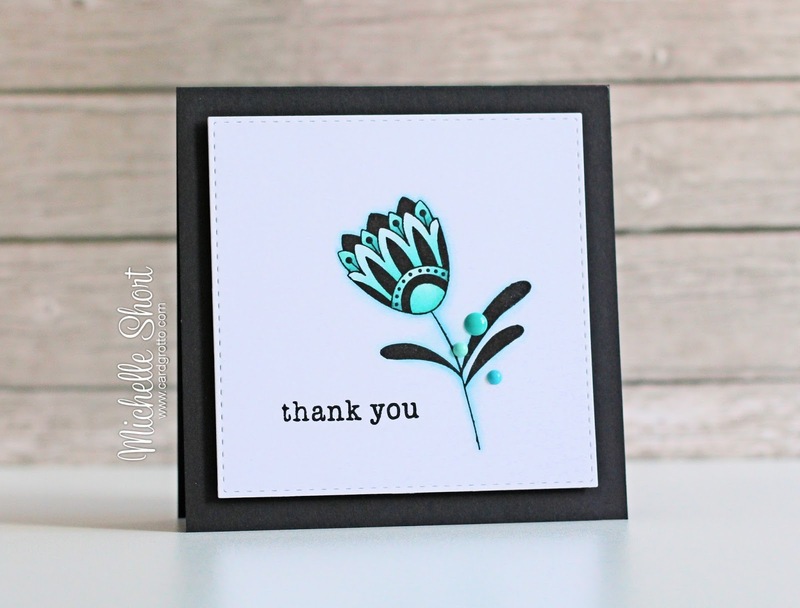 The flower was the stamped on to separate piece of cardstock with chalk inks and cut out using the matching dies. The flower was added to the panel with foam tape and DB Sprinkles added to the centres of the flowers, as well as clear Wink of Stella added to the petals. The panel was adhered to a white 4x4" card base which has a piece of paper from the Lawn Fawn Let's Polka collection on it. I love the colours together! My next card uses the new Life & Laughter set. It is stunning set with some beautiful sentiments (although I haven't used one on my card) and some beautiful flowers that remind me of the zentangle style. For my card, I used another SSS Stitched square and stamped the flower head and leaves/branch with black Versafine Onyx Black ink. These were then heat embossed with clear embossing powder to give a nice shiny embossed look. These were coloured using Copic Markers. 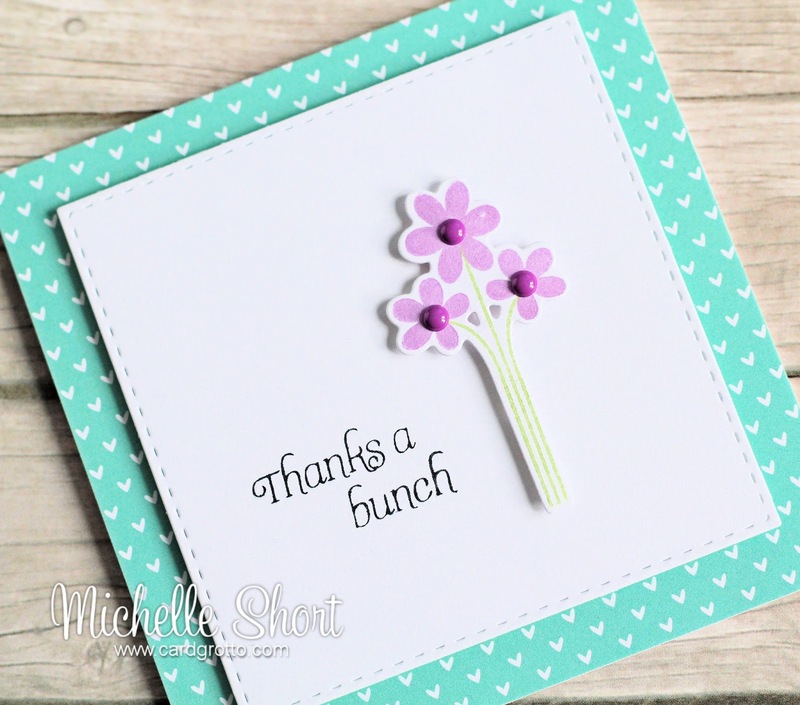 The sentiment, from the new Sugar & Spice stamp set, was stamped and embossed too. The panel was adhered to a black 4.5 x 4.5" card base. I finished off by adding a few Doodlebug Sprinkles to the flower. Thank you so much for visiting me today. Please pop over and see Stephanie, she will have some stunning samples to share with you, along with links to all the other DT that are sharing today. See you tomorrow! Happy easter and have a good day! So beautiful. Am falling in love with that first stamp set!